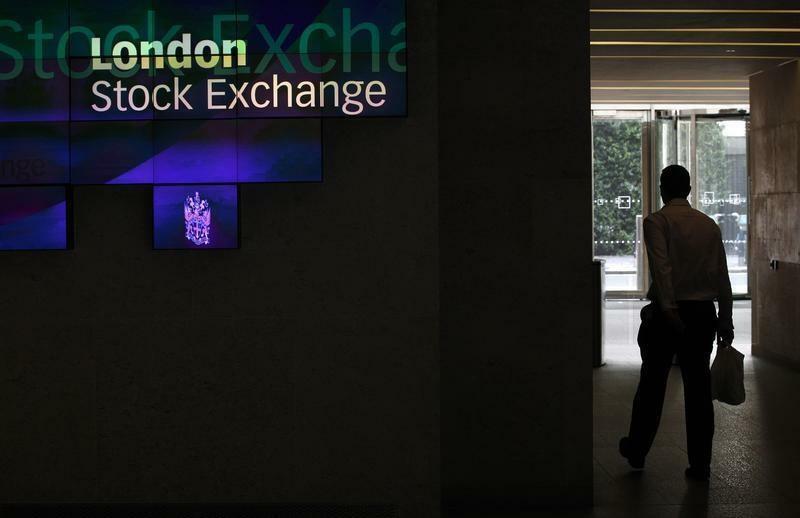 LONDON (Reuters) - A new trough in euro zone inflation pushed the euro to a two-year low on Tuesday, leaving the dollar on course for its biggest quarterly gain in six years and world stocks facing their largest drop since the peak of the euro crisis. Falling food and energy prices saw euro zone inflation slow to 0.3 percent this month, piling the pressure on the European Central Bank to make clear when it meets Thursday that it is ready to take more preventative action. World markets had already been in a hesitant mood as investors wondered what China's response would be to civil unrest in Hong Kong, and as the dollar's strength dominated the end of what has been a choppy third quarter. On a broader scale, MSCI's 45-country All World stock index, was on course for a drop of almost 3 percent on the month and its biggest quarterly fall since Q2 2012, when the euro zone's debt crisis was at its most intense. "We should not be more concerned than necessary on this," said Didier Duret, chief investment officer at ABN Amro. "This data is still backward looking. What is important is that the euro is going down substantially, the ECB is very active and the U.S. economy is holding up well." The new low in euro zone inflation kicked the euro below $1.26 for the first time since September 2012 and although the region's stocks got a minor lift from ECB easing bets the impact was limited. The greenback had already been at a four-year peak against a basket of major currencies and its gains of 3.5 percent so far this month were the largest since February 2013 and in six years on a quarterly basis. As well as signs the era of record low interest rates is finally coming to an end in the world's largest economy, the United States, investors have also had to cope with a host of global geopolitical difficulties in recent months. From Cold War-style tensions between the West and Russia over Ukraine to U.S.-led bombing in the Middle East to combat Islamist fundamentalism, it has all been there. In the latest of those tensions, tens of thousands of pro-democracy protesters blocked Hong Kong streets on Tuesday, in one of the biggest political challenges to Beijing since the Tiananmen Square crackdown 25 years ago. Hong Kong's Hang Seng Index shed another 1.3 percent to its lowest in three months. MSCI's broadest index of Asia-Pacific shares outside Japan lost 0.3 percent having already fallen sharply on Monday. The unrest was an added complication for investors amid long-standing concerns about the health of China's economy. An HSBC survey of manufacturing (PMI) for September disappointed slightly by showing a final reading of 50.2, steady on August but down from its preliminary 50.5. One bright spot was a measure of new export orders which climbed to a 4-1/2-year-high of 54.5. The official version of the PMI is due on Wednesday. Chinese shares have been less troubled by events in Hong Kong, perhaps because news and images of the protests are hard to come by on the mainland. The Shanghai index inched up 0.1 percent to near a 19-month peak. "We think the risks to growth are still on the downside and warrant more accommodative monetary as well as fiscal policies," said Qu Hongbin, chief economist for China at HSBC. One of the worst-performing major currencies this month was the New Zealand dollar, which is down nearly 7 percent. Data on Monday confirming the Reserve Bank of New Zealand had intervened to weaken the currency sent it as low as $0.7708, before a bounce to $0.7802. The stronger U.S. dollar has been a heavy weight on many commodities since it makes them more expensive for buyers using other currencies. Spot gold was down at $1,208.40 an ounce, not far from last week's trough at $1,206.85 and poised to post its sharpest monthly loss since June 2013. U.S. crude oil nudged up a couple of cents to $94.70 a barrel, after managing a modest rally on Monday. Brent inched to $97.53. but remained uncomfortably close to its recent two-year low. Oil prices on both sides of the Atlantic were on track for their third monthly loss in a row due to ample supply and subdued demand in Europe and China. For emerging markets it has been a similarly tough struggle. Emerging equities were set for their biggest quarterly loss in more than a year, currencies traded at multi-months low while emerging bond spreads were at their widest since March, having blown out 50 basis points over the quarter. "What we are seeing is a change from the summer when markets were just starting to get uneasy about central bank action. That rally evaporated because of new negative top-down themes that wiped out any positives," said Erste Bank's Henning Esskuchen.